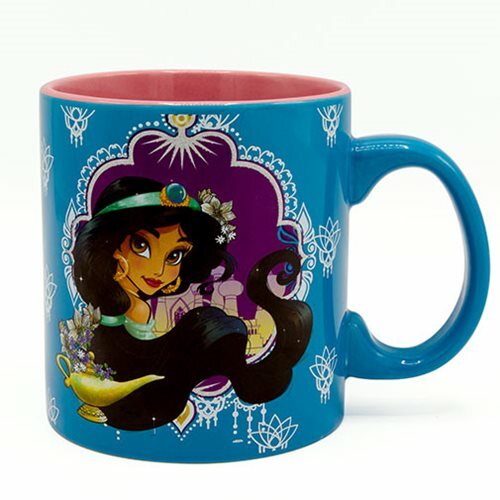 Relive the classic Disney movie Aladdin and bring home this amazing mug. The Disney Aladdin Princess Jasmine Glitter 20 oz. Jumbo Ceramic Mug is great for your next coffee or tea break. Makes a great gift! Hand wash only. Not dishwasher safe. Do not microwave.